An engaging narrative about an incredible, life-giving organ and its imperiled modern fate. Did you know that breast milk contains substances similar to cannabis? Or that it’s sold on the Internet for 262 times the price of oil? Feted and fetishized, the breast is an evolutionary masterpiece. But in the modern world, the breast is changing. Breasts are getting bigger, arriving earlier, and attracting newfangled chemicals. Increasingly, the odds are stacked against us in the struggle with breast cancer, even among men. What makes breasts so mercurial—and so vulnerable? In this informative and highly entertaining account, intrepid science reporter Florence Williams sets out to uncover the latest scientific findings from the fields of anthropology, biology, and medicine. Her investigation follows the life cycle of the breast from puberty to pregnancy to menopause, taking her from a plastic surgeon’s office where she learns about the importance of cup size in Texas to the laboratory where she discovers the presence of environmental toxins in her own breast milk. The result is a fascinating exploration of where breasts came from, where they have ended up, and what we can do to save them. I didn't really do much research before borrowing this one. 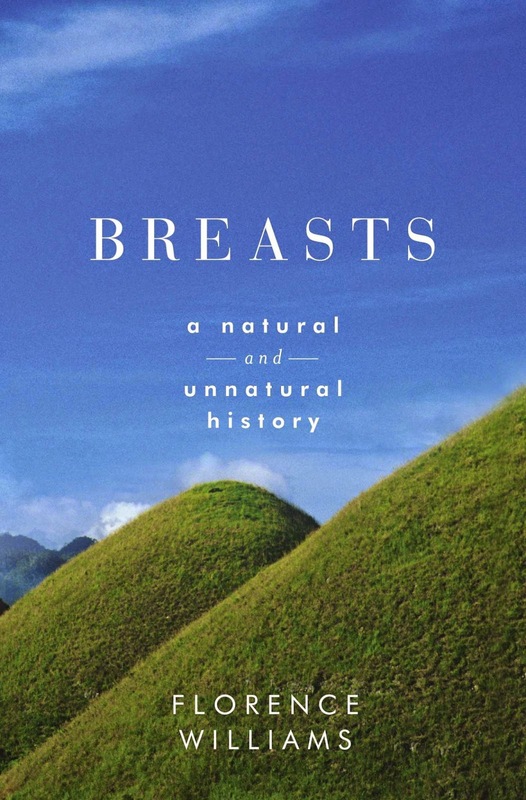 A "natural and unnatural history" of breasts sounded interesting. Turns out I was hoping for something a bit different from what I got. I thought this would be a mix of science and social history, but it was all science. That’s not necessarily a bad thing; I like science. And the first few chapters were great. They covered things like: how and why the breast evolved and how there is a history of male scientists automatically assuming that it evolved to please men visually, when the evidence is quite different; how the “plumbing” works; and how breast implants started. But then the rest of the book was basically about chemical exposures and how these affect things like the contents of breast milk and the incidence of breast cancer. And these chapters, I’m afraid, were quite stultifying. Just to make it clear, I don’t find the subject itself boring. I’ve actually worked on chemicals regulation. I’ve written and supervised work on assessing impacts of occupational exposures. And some of the completely dry scientific documents I’ve had to read for that have been much more interesting to read than these chapters. They felt repetitive and the writing style didn’t work for me at all. The latter reminded me a bit of Mary Roach's (I like her books, but am iffy on her writing style, which often makes her come across as a bit lame). Also -and I don’t blame Williams for this- it all felt very hopeless. As she herself admits, there’s very little we can do as individuals. Even if we know all the complex science and are determined to avoid contact with substances that are problematic, there’s often no way to know what’s out there and to avoid being exposed. We can do something at a societal level (and we really should), but that’s more for the sake of our descendants. We, personally, are screwed already. That’s the message (yeah, perfect holiday reading!). I was left feeling dissatisfied, in addition to hopeless. There was such a lot that I felt was left out that I would have liked to know about! A lot of it is more on the social science end, but even with this being a hard science book, there were lots of other areas to cover, many potentially more interesting than the ones we got. For instance, Williams talks quite a few times about the effect of different kinds of underwear, but leaves it at that. That could have been a fascinating chapter. MY GRADE: A C-. The first few chapters were good, but I didn't think much of the rest. And it sounded so promising! I know! I really wanted to read something like this, but more interesting!